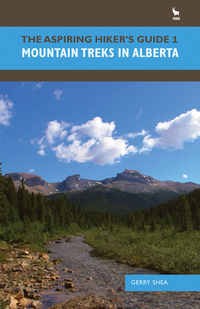 Popular Day Hikes is a series of bestselling books written for visitors and locals looking to hike scenic trails from well-established staging areas. These accurate, attractive guides feature detailed maps and colour photographs to whet the appetite. 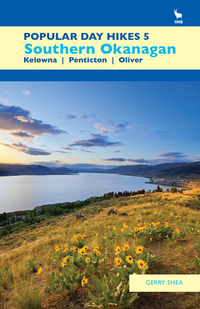 Located in the interior of British Columbia, stretching from Grindrod in the north to Vernon in the south and situated between the Okanagan Valley and the Shuswap, Northern Okanagan covers 39 popular day hikes in this stunning and open terrain. 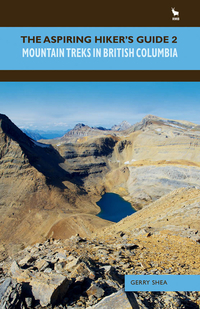 With little need for rigorous bushwhacking or risky scrambling, the hikes detailed in this new book will offer all users of all levels the opportunity to experience semi-desert landscapes, lakeside vistas and mountain views. Along the way, outdoor enthusiasts are certain to encounter a diverse selection of trees, plants, flowering shrubs and wildlife. From hidden trails to well-trod pathways, Popular Day Hikes 3 is the only hiker’s guide available for this well-known recreation and vacation paradise.